Hollywood liberals are some of the most ridiculous people on the planet. They complain that the Republicans are the party of the “rich” but they themselves would qualify as rich. They complain about tax cuts from their mansions in Beverly Hills. They complain about how tax rates for the wealthiest among us are too low, yet I don’t see any of them cutting extra checks for the Department of Treasury. 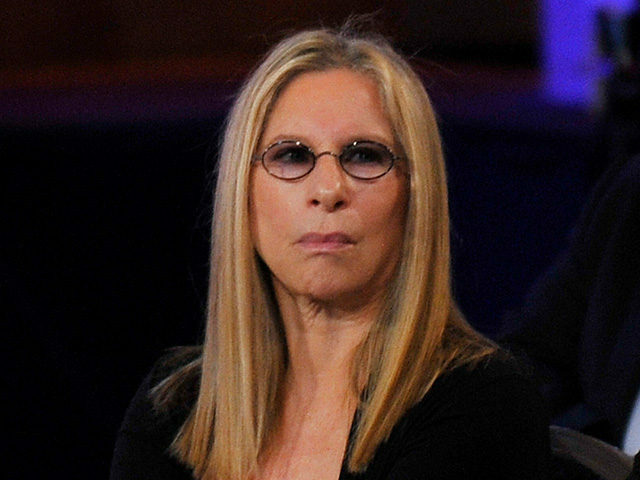 Now Barbra Streisand, one of the most insufferable celebs to ever walk the planet, is throwing around her opinion on the Trump tax bill, like someone asked for her opinion. “I don’t think it’s a coincidence that blue states, athletes, actors, writers, producers, and directors will be punished by this scam of a tax bill, where billionaires get billions, and the middle class gets bupkis (practically nothing) – and an eventual tax increase,” she whined. Nothing? You’re calling $1,000 bonuses to thousands of Americans and added benefits “nothing?” Excuse you? I’m sorry you’re expected to pay a normal rate, but for you to trash a President who has already made the lives of thousands of Americans easier is just a bit too far. If you wrote a script about politics today, who would believe it? I guess erratic and disruptive people make good copy, but the abuse of power, the vindictiveness, and the outright lies every day from this Administration are shocking. I don’t think it’s a coincidence that blue states, athletes, actors, writers, producers, and directors will be punished by this scam of a tax bill, where billionaires get billions, and the middle class gets bupkis (practically nothing) – and an eventual tax increase. Oh but of course, Streisand was the genius behind this lovely gem, so how could we not take her advice seriously? Collusion or no collusion, @realDonaldTrump should be impeached for sheer stupidity. I vaguely recall that she promised to move to a foreign country if Trump was elected, so why is she even whining about tax rates? I’m sure she’d be more than thrilled to move to a country with a higher tax rate if it meant that she got to feel morally superior to all of the greedy, hateful Americans who have the GALL to want to keep their own money and decide how it’s spent. Heck, I’d be willing to chip in a few bucks to donate to her one-way plane ticket! I simply can’t stand celebrities who think that they can tell people what to do and how to live their lives simply because they’re famous or have a lot of money. I’m sorry, but your political opinions mean next to nothing to me. You’re a trained monkey who dances to music while we throw coins at you, that’s it. Unless you’re getting paid to think (and you’re not), I’m unlikely to take whatever you have to say seriously. You live in a world that is completely different than mine, so is it any wonder that your advice on things that affect my world go unheeded?